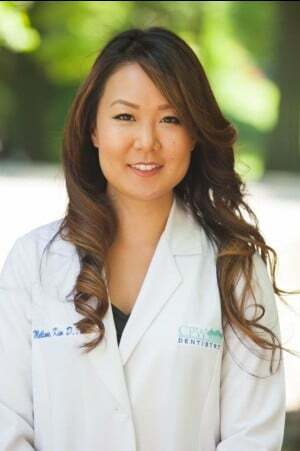 Dr. Mellanie Kim received her Bachelor of Arts in Biology from the University of Rochester and her Doctor of Dental Medicine degree from the University of Alabama School of Dentistry. She received the Dean’s Scholarship while attending the University of Alabama School of Dentistry. Afterwards, she completed a General Practice Residency at Jacobi Medical Center, a level-one trauma center, where she gathered valuable experience in emergency care. She is a skilled provider in all aspects of general dentistry with experience in most specialty fields including restorative dentistry, cosmetic dentistry, orthodontics, and Botox treatment for TMJ pain. Dr. Kim is a member of the New York State Dental Association and the New York County Dental Society. Dr. Kim finds fulfillment in educating patients and helping anxious patients overcome their dental phobias. In her free time, she enjoys traveling, trying new foods, cooking, cycling, hiking, and running. A: I want people to look forward to coming to see me. I enjoyed going to the dentist growing up and I want others to feel the same way. A: Regular dental visits will save you time and money compared to sporadic, emergency visits.